Employee owned. All lines of insurance including business, general liability, workers compensation and business auto. All aspects of personal insurance (home & auto), financial planning services and employee benefits. 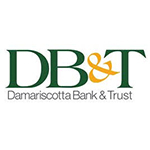 We are independent, Maine-based community bank that has been anchoring communities, enriching the lives of Maine people and helping businesses succeed since 1875. Public accounting firm offering tax and accounting services to individuals, small businesses, corporations, and non-profit organizations. At Machias Savings Bank the focus is on you, the customer, with personalized banking. We offer convenience, experienced staff, and exceptional service. As a licensed Agent of New York Life Insurance Company, I offer a variety of products that can help you meet a number of insurance and financial needs, including, but not limited to college funding, retirement, managing costs for extended periods of care and lifetime income strategies.